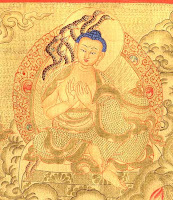 There was one great master, a Buddhist master, Nagarjuna. A thief came to him. The thief had fallen in love with the master because he had never seen such a beautiful person, such infinite grace. He asked Nagarjuna, "Is there some possibility of my growth also? But one thing I must make clear to you: I am a thief. And another thing: I cannot leave it, so please don't make it a condition. I will do whatsoever you say, but I cannot stop being a thief. That I have tried many times--it never works, so I have left the whole sport. I have accepted my destiny, that I am going to be a thief and remain a thief, so don't talk about it. From the very beginning let it be clear." Nagarjuna accepted him and said, "Now you can go and do whatsoever you like. Only one condition has to be followed: be aware! Go, break into houses, enter, take things, steal; do whatsoever you like, that is of no concern to me, I am not a thief--but do it with full awareness." The thief couldn't understand that he was falling into the trap. He said, "Then everything is okay. I will try." The man said, "But now it is difficult. I have tasted it a little, and it is so beautiful--I will leave anything, whatsoever you say. Just the other night for the first time I was able to enter the palace of the king. I opened the treasure. I could have become the richest man in the world--but you were following me and I had to be aware. When I became aware, diamonds looked just like stones, ordinary stones. When I lost awareness, the treasure was there. And I waited and did this many times. I would become aware and I became like a buddha, and I could not even touch it because the whole thing looked foolish, stupid--just stones, what am I doing? Losing myself over stones? But then I would lose awareness; they would become again beautiful, the whole illusion. But finally I decided that they were not worth it." Underlying all meditation techniques, including martial arts -and in fact underlying all great athletic performances - is a quality of being awake and present to the moment, a quality that Osho calls awareness. Once we can identify and understand what this quality of awareness is, we have the key to self-mastery in virtually every area of our lives. According to great masters like Lao Tzu or Buddha, most of us move through our lives like sleepwalkers. Never really present in what we are doing, never fully alert to our environment, and not even aware of what motivates us to do and say the things we do. At the same time, all of us have experienced moments of awareness or awakening, to use another- in extraordinary circumstances. On the road, in a sudden and unexpected accident, time seems to stop and one is suddenly aware of every movement, every sound, every thought. Or in moments that touch us deeply-welcoming a new baby into the world for the first time, or being with someone at the moment of death. Awareness, says Osho, is the key to being self-directed, centered, and free in every aspect of our lives. 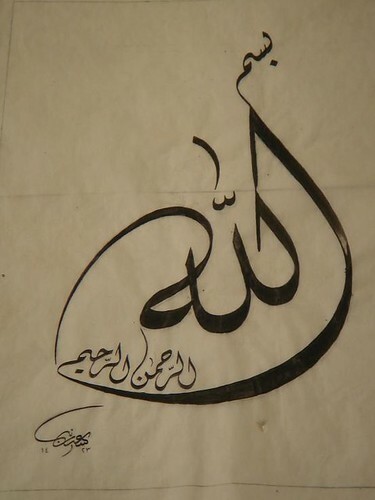 The use of Bismillah is a timeless practice not only of the Muslims but was practiced by all sages and prophets of all ages in many languages. The essence being, bringing in the highest awareness, the divine awareness before engaging into anything. So the sufis begin every action by reciting Bismillah over it (be it the action of eating or starting a journey or starting writing or reciting) and make every action sanctified by this simple practice of awareness and thus transform that which is ordinary into extra-ordinary. 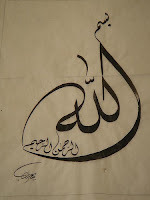 Bismillah Babuna - "In the Name of Allah" is our Door - as it goes in the circle of Shadhili Sufis.